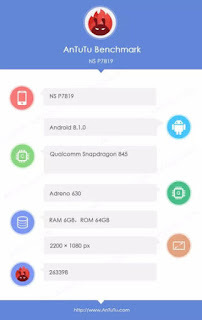 Home / NEWS / ONEPLUS / A mysterious phone with Model no NS P7819 poped up in benchmarks,Oneplus 6? 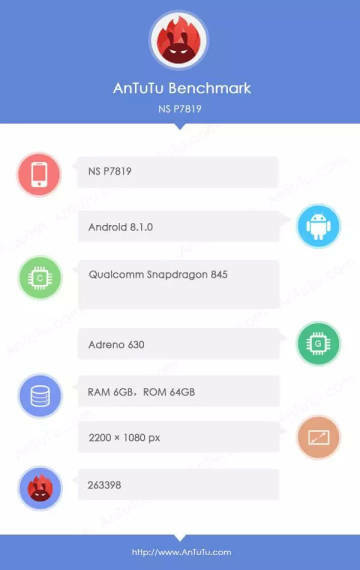 A mysterious phone with Model no NS P7819 poped up in benchmarks,Oneplus 6? 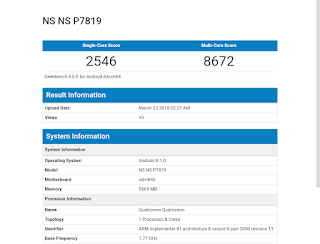 A mysterious device with model no NS P7819 has been spotted at Geekbench and Antuntu.It is widly rumored that it could be Oneplus 6.Nevertheless,there is no confirmation that it is true or not.Early,there was one Oneplus device had leaked in Antuntu with model no A6000.And,that is said to be 8 GB version Oneplus 6.However,let us check the scores and specification on benchmarks. On Antuntu,alleged Oneplus 6 scored 263398 with Snapdragon 845 processor with 6 GB RAM.Its native storage is 64 GB and is equipped with 630 GPU.It is powered by Android 8.1 Oreo.Its display resolution is 2280×1080. 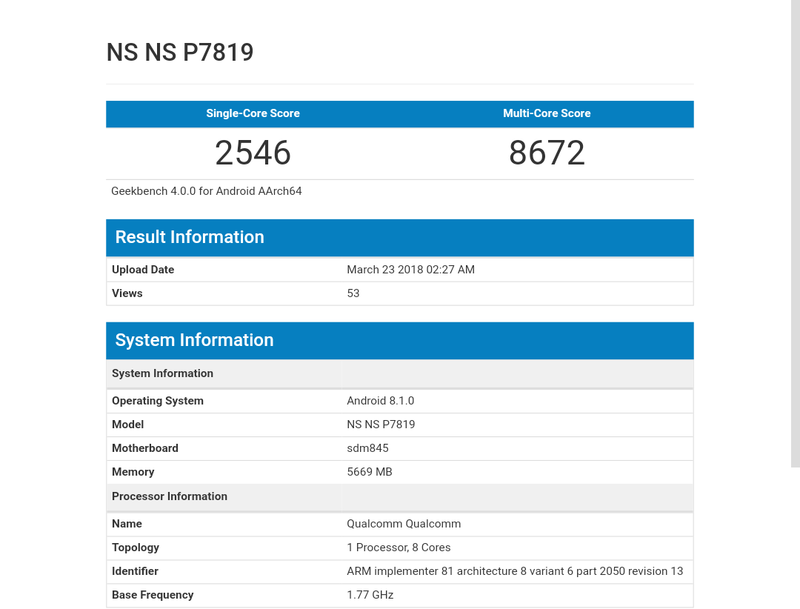 Looking Geekbenchmark listing,the NS P7819 packs 1.77 GHz clock speed Snapdragon 845 processor with 6 GB RAM.It runs on Android 8.1 Oreo.With these features,it scored 2546 and 8672 on single and multi core tests. Though,the features are in mystery,Oneplus 6 is expected to have a display with not less than 6 inch in size.It would feature iphoneX like notch as well.Like its predecessor,it would feature dual camera setup on rear and upgraded 20 MP sensor on its front.It is expected to launch on June.